We all know that Jesus prayed. You could read the Gospels while half-asleep and not miss this fact. But why did Jesus pray? This question requires greater care. I recall once hearing a pastor say that Jesus only prayed to set an example for us. He was God, after all, so he didn’t need to pray. Mark Jones doesn’t think so. And he deals with this question and many more in his new release, The Prayers of Jesus: Listening to and Learning from our Savior. Jones is the teaching pastor of Faith Reformed Presbyterian Church in Vancouver, holds a PhD from the University of Leiden, and serves on the board of directors for The Davenant Institute. Crossway (2019). 224 pp. $17.99. Jesus’s ministry on earth as a human was marked by a devotion to prayer. Through his prayer life, we see what it means to truly depend on God. Examining all of Jesus’s prayers recorded in the New Testament, this book reflects on the content and structure of the Son of God’s words to his Father—helping us imitate his example as we commune with our heavenly Father as adopted sons and daughters in Christ. Anyone who has read much of Jones knows that he loves Christology, he loves the Puritans, and his books usually feature a healthy dose of both. (His doctoral dissertation was on the Christology of Thomas Goodwin.) He has already given us excellent Christological works like A Christian’s Pocket Guide to Jesus Christ and the Packer-like Knowing Christ. Even the book that put him on the popular map, Antinomianism: Reformed Theology’s Unwelcome Guest?, focuses heavily on the person of Christ as the solution to imbalanced views of law and gospel. So it’s not surprising to find a similar Christological focus in The Prayers of Jesus. Indeed, the book would be worth buying for the introduction alone, “Introducing Our Praying Lord.” Here Jones gives a brief historical theology of how differing traditions have interpreted the Council of Chalcedon, which defined Christ as one person with two natures (divine and human). He distinguishes the Reformed Orthodox interpretation from that of Roman Catholicism and Lutheranism, both of which, he argues, “elevate the human nature [of Christ] above the boundaries set for it in Christ’s life of humiliation” (18). If even Jesus needed to pray, what does that say of us, his younger, non-divine siblings? How arrogant must we be to think we can survive without prayer? Roman theologians often argue that because of his divine nature, Jesus possessed the beatific vision from birth, enabling him to walk by sight, not by faith. And Lutheran theologians often argue that Christ’s divine attributes are communicated to his human nature. The result of both, however, is that “they cannot adequately account for development in Christ’s human nature. In fact, the reality of Christ’s state of humiliation comes into question: Did Christ really need to learn and be taught?” (18). This will influence how you answer various questions, the most important for this book being “Why did Jesus pray?” According to the Reformed (and I believe, biblical) Christology put forth by Jones, the answer is because as a man he needed to (15). Jesus was fully human, with a true body and a sensible soul. His divine nature did not somehow take the place of his soul (in a kind of modern-day Apollinarianism), giving him immediate access to his divine attributes like omniscience and omnipotence (19, 24). Had this been true, it’s hard to see how Jesus could’ve increased in wisdom as he grew older (Luke 2:52), claimed ignorance of the day of his return (Mark 13:32), or learned obedience through what he suffered (Heb. 5:8). It’s also hard to see why he would’ve needed to “offer up supplications with loud cries and tears to him who was able to save him from death” (Heb. 5:7). Instead, following the groundbreaking work of John Owen, Jones argues that Jesus prayed and obeyed and worked miracles through the power of the Holy Spirit, who was given to him without measure (22–25). This makes Jesus’s prayers all the more relevant for us as Christians—for while we don’t share his deity, we do share his Spirit (Mark 1:8; Gal. 4:6). And “in this way, we aim to pray as our Lord prayed: in the Spirit” (24). This Christological basis makes the rest of the book so practical. Yes, in one sense Jesus prayed in order to set an example for us. But part of that example was to show us how to depend on the Holy Spirit and trust God’s Word. He prayed as one who was bone of our bone and flesh of our flesh, and “his prayers were at the heart of his obedient and dependent life before the Father” (16). And “If Jesus did not pray out of necessity, then something has gone wrong with our understanding of who he is” (16). Anyone who has read much of Jones also knows that with all his love for the Puritans (and perhaps because of it) he also takes great pains to be biblical, making careful theological distinctions. This book is no exception, and the Scripture index is lengthy. The Prayers of Jesus consists of 26 chapters, all of which begin with “Jesus Prayed . . .” The chapter topics follow Jesus’s life chronologically, beginning with “Jesus Prayed from His Mother’s Breast” (Ps. 22:9–10) and ending with “Jesus Prayed His Final Prayer” (Luke 23:46). Jones begins each chapter with a relevant verse, and then unpacks its theological and practical implications. Along the way, we learn about the manner in which Jesus prayed (secretly, joyfully, confidently, and so on) as well as the kinds of things he prayed for (his Father’s glory, his church’s unity, his enemies’ salvation, and so on). 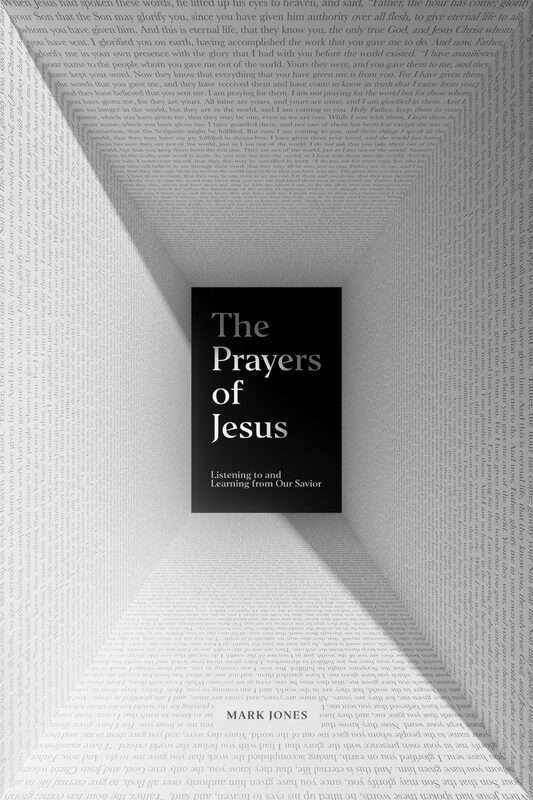 Because this is a book dealing with Jesus’s own prayers, it makes sense that the vast bulk (14 chapters) would be dedicated to his lengthiest recorded prayer, the High Priestly Prayer in John 17 (79–172). These chapters should serve as a useful resource for anyone preaching through that passage. On the flipside, the Lord’s Prayer receives only one chapter (51–60), in which Jones focuses on how Jesus was able to pray it himself, including (believe it or not) the fifth petition “forgive us our debts” (57–58). As usual, Jones writes for a popular audience without being afraid to deal with complicated issues. His heart is pastoral, but he doesn’t insult his readers by demanding too little from them. In addition to the introduction (which he admits is “more difficult than the rest of the book”), readers will encounter the trinitarian doctrine of appropriations (94), the distinction between God’s absolute power and ordained power (182), the distinction between God’s love of benevolence and love of complaisance (157), and a discussion of how Jesus could be forsaken on the cross without the Godhead being divided (195–98). Though challenging, these discussions are biblically grounded and geared toward greater appreciation for who Jesus is and what he has done. Ultimately, Jones is pushing us toward the imitation of Christ. Though obviously unique in some ways, Jesus’s prayer life—like his life in general—provides a pattern we’re meant to follow (Matt. 11:29; Mark 8:34). Why did Jesus pray? Because he needed to. And if even Jesus needed to pray, what does that say of us, his younger, non-divine siblings? How arrogant must we be to think we can survive without prayer? Of course, besides being necessary, prayer is also difficult. I’m ashamed to admit how much effort prayer requires for me. Perhaps you could say the same. But three truths should strengthen us: Jesus has died for our sin of lukewarmness in prayer. Jesus is alive and praying for us right now. And Jesus has given us the same Holy Spirit who rested on him. The Spirit not only helps us in our weakness when we don’t know what to pray, but he also helps us to read our elder Brother’s prayers and learn to pray like him. And that’s an encouraging thought. It’s why this book is worth reading.